Allowing OEMs to private label products without modifying housing/chassis, NFi Graphic Overlays feature subsurface printing to protect images and data from wear caused by abrasion, chemicals, and weather. OEMs can also integrate different window openings to expose LEDs, LCDs, and switches or cover unused devices. 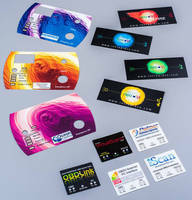 Made from MylarÂ® (polyester) or LexanÂ® (polycarbonate) and zoned adhesive combinations, overlays range from 0.005–0.030 in. thick and can incorporateÂ various features and finishes. Custom fabricated graphic overlays that are ideally suited for OEMs who want to private label products without modifying their housing or chassis are being introduced by Nameplates For Industry, Inc. of New Bedford, MA.